Jia Yueting appears to currently be in the US. The Chinese tech giant LeEco might have once been dubbed the "Netflix of China," but that lofty acclaim has made its fall from grace all the more brutal. Now, the company's founder, Jia Yueting, has been ordered to return to China by the country's Securities Regulatory Commission by the end of the month in order to face the company's incredible debts. LeEco's problem was that it grew too fast. The company kept adding to its product offerings, moving from an online streaming service into hardware such as TVs and cars. The problem was the company wasn't making money and didn't have a solid financial foundation to support this rapid growth. Jia has vowed to pay back his company's mounting debts, as the company borrowed more and more cash from creditors in order to stay afloat. Last week, the company's Hong Kong arm, called LE Corporation Limited, filed for liquidation. Jia is now on China's list of official debt defaulters. It's unclear whether Jia will comply with the Chinese government's order to return to the country to face the music. He's previously vowed to repay the debts LeEco owes, but how exactly he'll do that isn't apparent. Jia appears to currently be in the US, according to his latest post on Weibo. 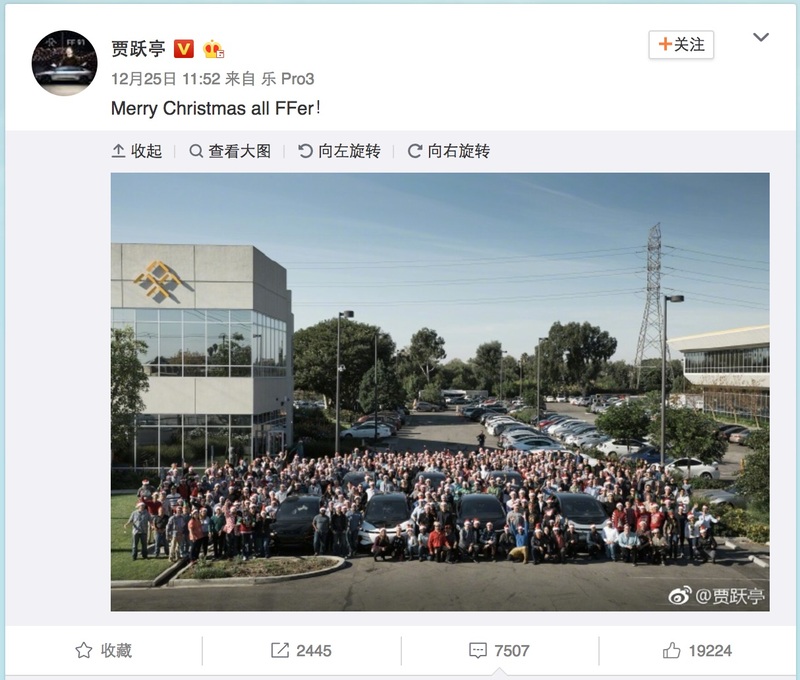 It includes a holiday message and picture at Faraday Future, which is an electric car company with close ties to LeEco facing its own financial woes.